Winter Break Travels Take Alyssa Cassini to Israel and Namibia | The Gettysburgian. While some Gettysburg College students enjoyed a relaxing winter break at home, many of our classmates chose to step outside the box–and the national borders–for their winter vacations. 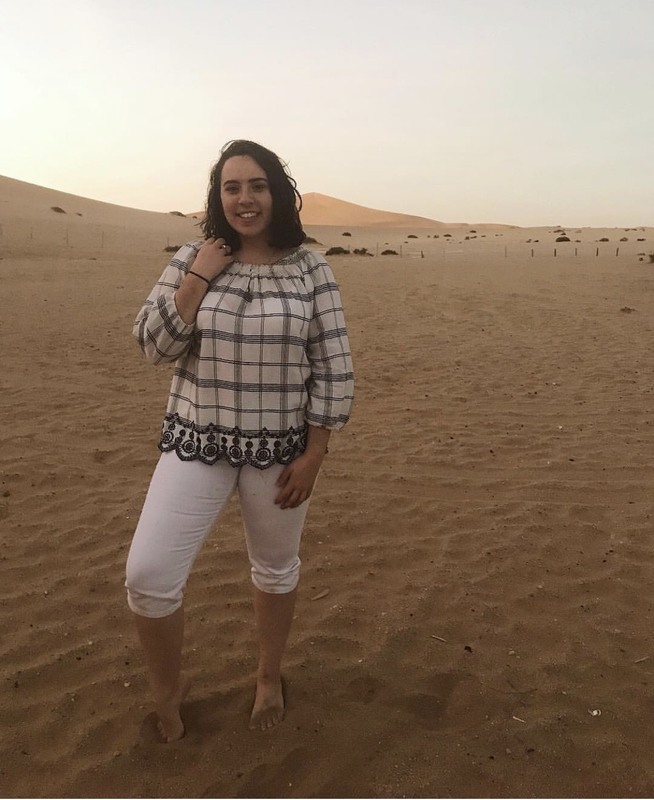 Alyssa Cassini, ‘21, spent 20 of her vacation days traveling in both Israel and Namibia. Cassini began her travels in Israel, where she spent ten days learning more about Jewish culture, and seeing some of the most famous cultural sights the country has to offer. The group she travelled with, organized by Birthright Israel, was comprised of approximately forty students from a variety of Hillel organizations from schools in our region. Whilst in Israel, the group was able to go see incredibly famous cultural sites like the Western Wall and the Dead Sea. Floating in the Dead Sea, to Cassini, was “totally a bucket list item.” She also commented on how interesting it was to be led around the country by people our age, most of whom were fulfilling their term of compulsory military service required by the Israeli government, as well as how varied the practice of Judaism is throughout the country. “It was really cool to see the broad range of how people practice and how much people practice in Israel,” Cassini said, commenting that the trip also gave her an interesting inside view of the Israeli-Palestine conflict. After returning stateside for one day, Cassini jetted off again on another ten day trip, this time heading to Namibia with the Center for Public Service’s Immersion trip. This trip in particular focused on issues of conservation and social justice, two things Cassini is very passionate about. During her time in Namibia, Cassini visited several Namibian conservancies, and discussed the conservation issues the country faces the most frequently with conservation workers on-site. Apparently, elephant control is an incredibly common struggle face by these conservancies, because they cause so much destruction due to their size. “Poaching is also an increasingly large problem there,” Cassini said, partially in part to the rising value of materials obtained through poaching. The experience pushed her interests in public policy even further, especially drawing attention to environmental justice, and how conservation efforts impact minority groups and underprivileged communities. Finally, Cassini commented that she was “excited to get started” this semester, taking the skills she’s learned over the course of her travels and applying them to both her leadership role in CPS, and while transitioning into her new position as Service Vice President of Alpha Phi Omega.